This is an ideal rural retreat for a couple wishing to discover the many attractions of Somerset and Dorset. 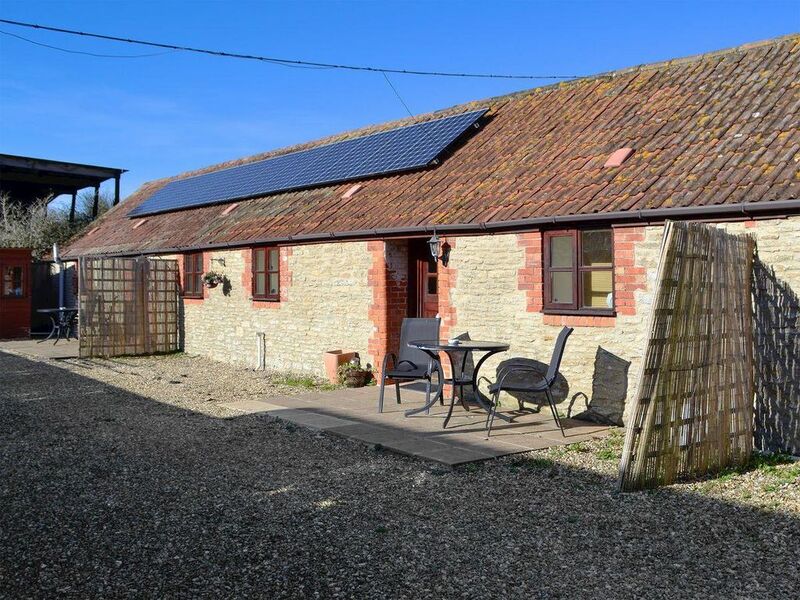 Situated on a working farm between the characterful abbey town of Sherborne and Shaftesbury with its famous Gold Hill, and right on the Somerset/Dorset border, these three, terraced, single-storey barn conversions are in an excellent location from which to explore this wonderful region. There is lovely walking in the area and fishing nearby, however the properties are also in a great location to spend days out enjoying some of the lovely attractions within an easy driving distance. The towns of Sherborne and Shaftesbury are well worth a visit, and Stourhead House and Gardens offer a very pleasant day out. Longleat House and Safari Park are not to be missed. Driving towards Yeovil, you can take in the Yeovilton Fleet Air Arm Museum and the fascinating Haynes Motor Museum with its wonderful array of classic cars, or perhaps explore the cathedral city of Salisbury or meander down to the south coast taking in Poole, The Purbecks and the famous Jurassic Coast. Inland and not too far is the enchanting town of Glastonbury with its individual shops, tor and abbey ruins. A visit to Somerset is not complete without a trip to Clarks Factory Village retail shopping outlet in the nearby town of Street. There are a wealth of places to visit including the cathedral city of Wells, the Cheddar Gorge and Wookey Hole Caves, along with many small villages to wine and dine in. The city of Bath is also within easy reach with its plethora of shops, Roman baths, Royal Crescent and Thermae Spa. Shop 3 miles, pub and restaurant 1 mile. Primrose (ref UKC2574) and Cowslip (ref UKC2575), each accommodate five guests, and Bluebell (ref UKC2576) is ideal for couple. They can be booked independently, or together to accommodate up to 12 guests. Living area: With 32’’ Freeview TV, DVD player and beams. Kitchen area: With electric oven, electric hob, microwave, fridge and beams. All properties: Electric central heating, electricity, bed linen, towels and Wi-Fi included. Travel cot and highchair. Welcome pack. External outbuilding with washer/dryer (shared with other properties on site). Sitting-out area with garden furniture. Lawned garden with barbecue (shared with other properties on site). Private parking for 2 cars. No smoking.